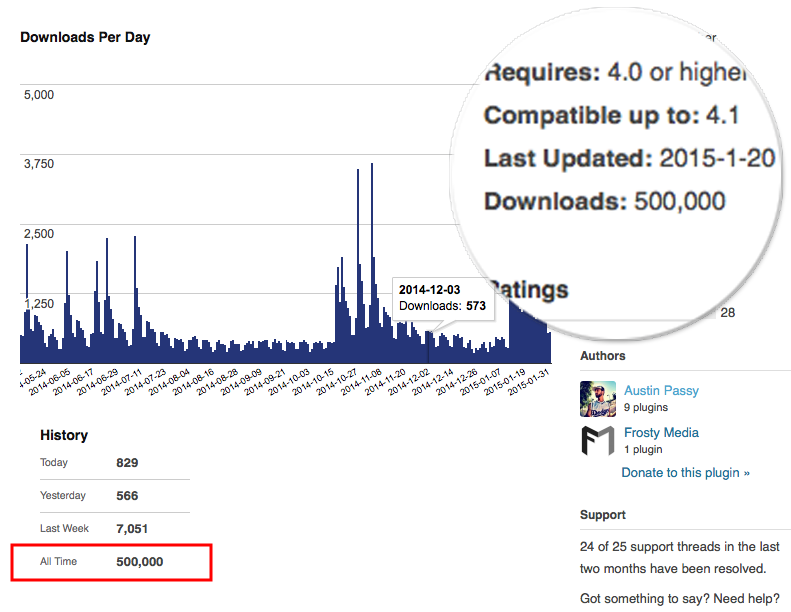 As of today (Sunday February 8th) Custom Login passed 500,000 total downloads. I never would have imagined reaching such a feat when I released it in 2012. To celebrate Custom Login passing 500,000 downloads, I’ve released a new extension to help customize the login page. Meet the Custom Login Style Pack #1. Over the coming weeks I’ll be creating a slew of style packs for Custom Login. Each one costing ~$10 for 4 designs. If you use the coupon CustomLogin500K you’ll get $10 off your purchase when the Style Pack #1 is in your cart. Which makes it FREE! Great… thanks for the new version! Looking forward to a free extension. Awesome job. Its a great plugin. A great little plugin – I like customizing the login screen for my clients. It makes me look more professional. Thank you for a great plugin. Really help customize my site.